LAWRENCE — An African studies professor at the University of Kansas has spent her career studying the work of a 19th century female scholar who was a passionate activist for women’s education in a region of the world that is now searching for hundreds of missing schoolgirls. Beverly Mack has published three books on the life, work and legacy of Nana Asma’u, a Muslim scholar who spoke four languages, wrote poetry and advocated for the education of both illiterate men and women. Asma’u was the daughter of Shehu Usman ‘Dan Fodio, a scholar and 19th century jihad leader who in the early 1800s ruled over one of the largest empires in Africa, the Sokoto Caliphate. The world’s attention turned to Nigeria this spring when the militant group Boko Haram kidnapped nearly 300 schoolgirls. Just this week, media reported that Boko Haram is suspected of kidnapping dozens more girls and women from the same region. 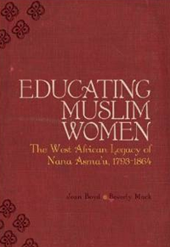 Mack’s recently published book on Nana Asma’u, “Educating Muslim Women: The Western African Legacy of Nana Asma’u,” examines the scholar’s early life and the women’s education system she established. While Asma’u’s work was exceptional, the generations of women scholars who preceded her proved she was not an exception for the time period or region. “She is exemplary of a rich tradition of women’s scholarship that exists in Islam and that has existed in Islam since the beginning,” Mack said. Mack first stumbled across the legacy of Asma’u while doing dissertation work in Nigeria in the early 1980s. Once while interviewing a female poet, Mack naively asked how was it that the woman’s husband allowed her to write. The women gave Mack a look and said, "Did Nana Asma’u need permission?" Mack replied, "Who is Nana Asma’u?" From there Mack was directed to speak to Jean Boyd, an English headmistress at a Nigerian school who had begun collecting and translating Asma’u’s work. Over the years, the two have collaborated, including the latest book, to share the scholar’s work and legacy with the rest of the world. Asma’u was raised in a scholarly community focused on Islamic values that encouraged scholarly pursuits for men and women. Her father believed that any man who did not support his daughter or wife leaving the house for the purpose of education was not practicing Islam correctly. Recognizing the difficulty for rural women to travel to her to learn, Asma’u began training other women as teachers. Known as ‘Yan Taru, meaning the associates, these teachers visited rural villages where they would stay until their teaching was finished. Asma’u wrote her lesson plans in the form of poems. Topics included instruction on the Quran, attire, prayers, history of women in Sufism, medicine, jihad battles and the virtues of the women and men in the community. In order for pupils to understand the material, Asma’u translated many of her works in different languages. “Because it was so well-organized and set up to be passed from generation to generation, it continued after her death through the colonial period, postcolonial period, and to this day is being practiced,” Mack said. Mack knows of women who are the descendants of those who studied with Asma’u. And, she points to women’s organizations, such as the Federation of Muslim Women’s Association in Nigeria, that are modeled after the independence promoted by Asma’u. 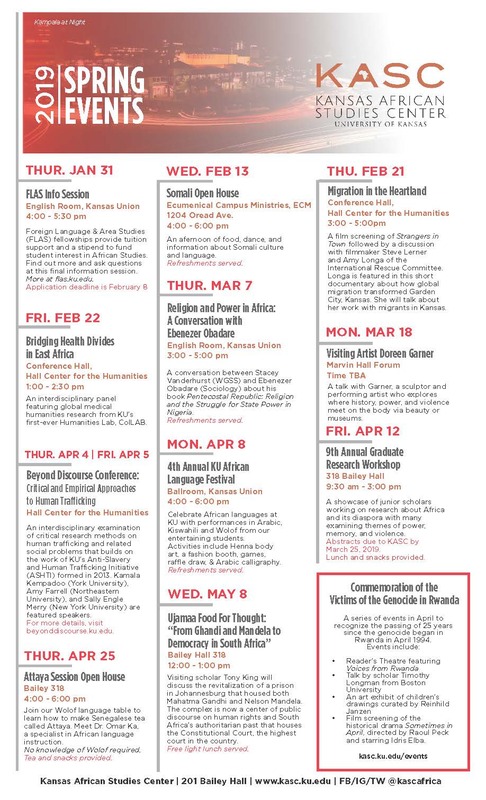 Asma’u’s legacy also has reached the United States. A Muslim community in Pittsburgh that was deeply affiliated with the teachings of Asma’u’s family began a ‘Yan Taru organization. That group has since dispersed throughout the country, and pockets of ‘Yan Taru can be found in Hartford, Connecticut; Oakland, California; and Atlanta, Houston and San Diego. Mack continues to research ‘Yan Taru organizations and would like to organize a conference that would bring them together. It’s work that is drawing her to look for other potential female Muslim scholars from earlier centuries.